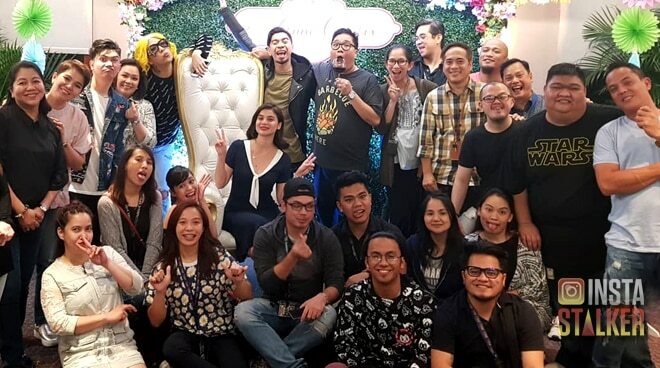 Anne Curtis' It's Showtime family surprised her with another bridal shower before she ties the knot with online personality and foodie Erwan Heussaff. Present in the party were her co-hosts Vice Ganda, Amy Perez, Vhong Navarro, Karylle, Jugs Jugueta and Teddy Corpuz. The noontime show's staff also came, including director Bobet Vidanes. ABS-CBN executives Cory Vidanes and Lauren Dyogi were also spotted. This bridal shower is deemed Anne's third as it was first reported that she had a bachelorette party with friends in the US last October. Likewise, just last Thursday, November 2, her sister Jasmine hosted a bridal shower for her sister a la 'Breakfast at Tiffany's'. Anne and Erwan have yet to reveal the exact date of their wedding.